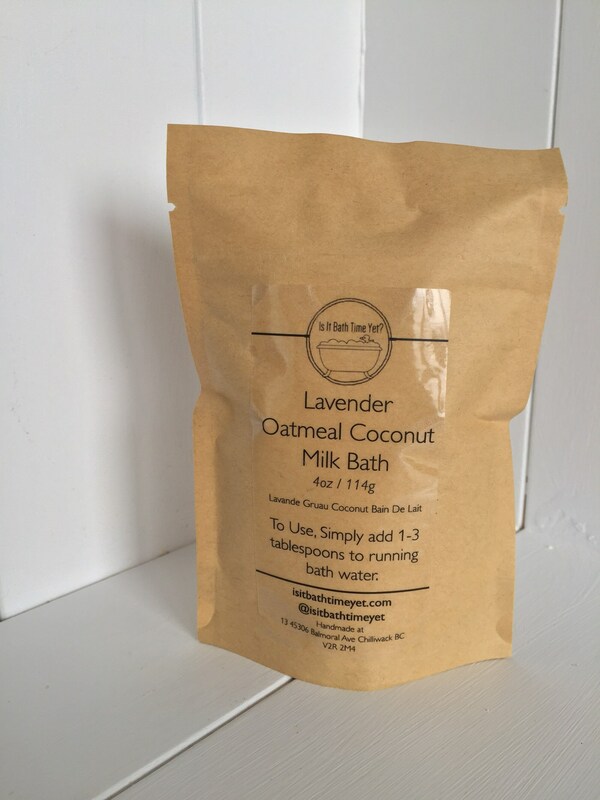 Not only is our Lavender Oatmeal Coconut Milk bath wonderful after a long day, it's perfect for babies! The added lavender helps calm babies (and you) down making it the perfect part of a nighttime routine! 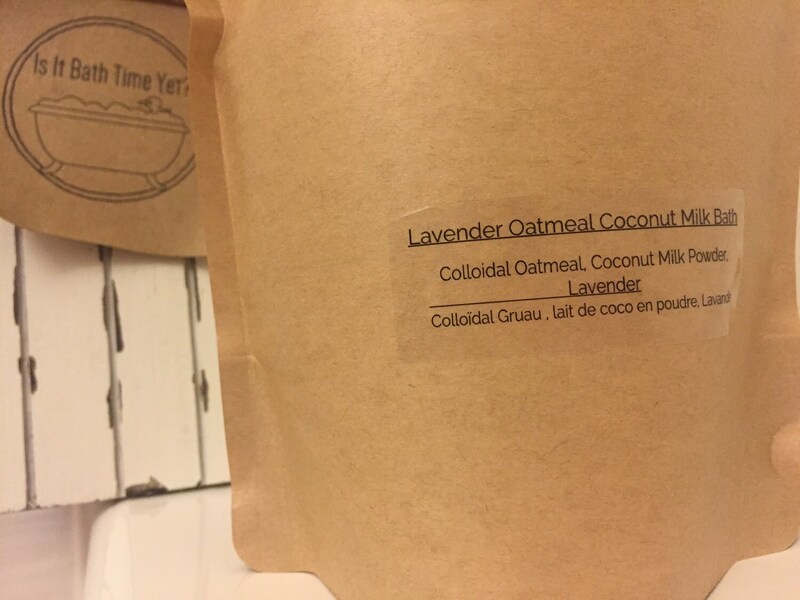 • I grind up lavender buds to a fine powder, THEN I sift it making sure only tiny bits of lavender are going into your babes bath! •My son has VERY dry scaly skin, but this little wonder cleared it up and he has baby smooth skin again! 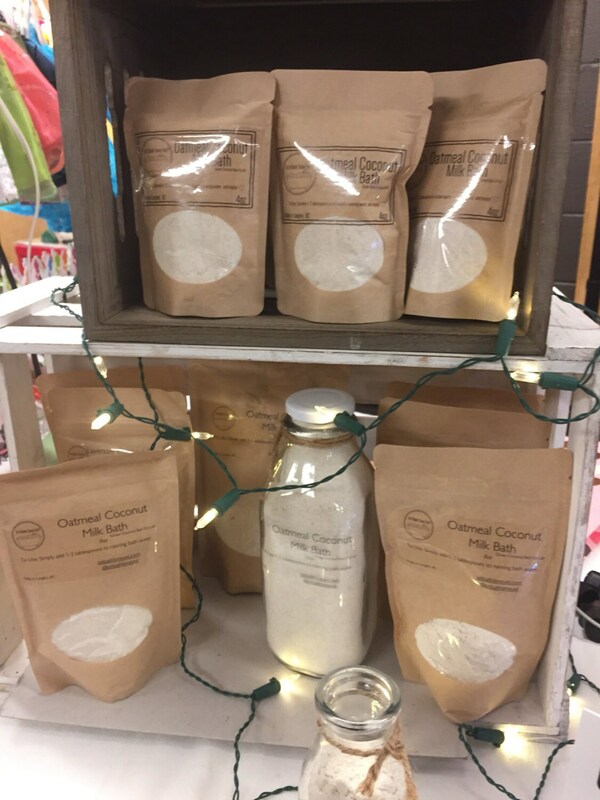 Available in 4oz 8oz and 16oz bags! 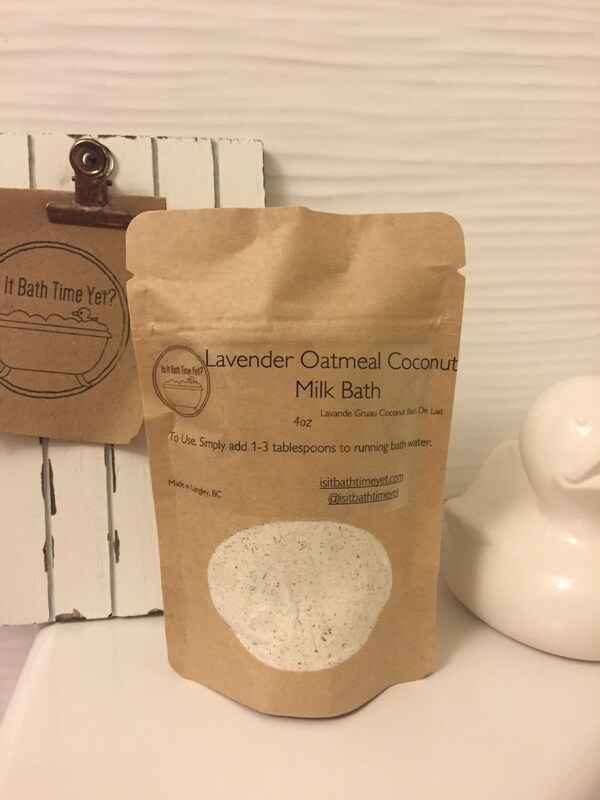 To use simply pour about 1-3 tablespoons in to a warm bath, sit back and relax!